Dewang Chopra was born on June 26, 2000 in the satellite city of Faridabad, near New Delhi, India. Dewang proceeded his twin sister, Disha, by five minutes. Dewang was an excellent student and athlete, excelling at Badminton, and very fond of cycling and skating. Dewang never suffered any serious health problems. In August, 2008, he got mild fever; treatment was provided but the fever continued. A local doctor suggested that his parents bring him to a better hospital in New Delhi for additional tests. Dewang went to the best hospital, Sir Ganga Ram Hospital, where physicians advised additional tests but they results were normal. However his oxygen continued to increase rapidly and his CT scan for his chest revealed a left lower lobe collapse and consolidation with right lower lung involved also. Dewang’s respiratory distress worsened and he developed hypoxemia and hypercapnia. Dewang was put on a ventilator. Ventilator requirements started increasing with high PEEP and PIP, he was given various combinations of antibiotics including Anti Fungus, ATK and steroids but his condition did not improve. Because of high pressure of ventilators he had developed air leaking in the form of pneumothorax and had three chest tubes inserted; at that point, his body began to swell. He developed pancytopenia in the form of markedly depresses TLC required G-CSF, anemia requiring blood transfusion and thrombocytopenia requiring platelet support. All his other major organs like heart, kidneys and liver were functioning well even after 35 days on ventilator, with no other infection caused by ICU treatment. However Dewang showed no improvement in his lung condition even in spite of increasing the ventilator settings. After swinging between death and life for five weeks on ventilator with very low SPO2 levels many times, Dewang’s sweet story was coming to an end on the morning of October 19, 2008. His sad, helpless, mother with tears in the eyes, read Indian Holy Book Geeta in front of her dying son. 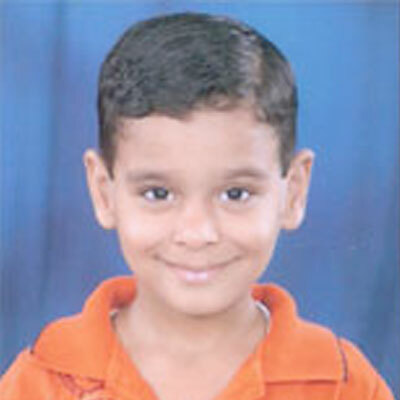 Though Dewang’s parents were willing to donate his organs to help others in need, doctors advised that due to his medical condition and infections, it would not be the best scenario for those who would receive such organs. His loving and devoted parents not only regretted that they were unable to save their dying child but could not help another child in need with his organs. To be sure, Dewang’s parents say that it is truly on of the most difficult things to see one’s child dying slowly in front of you and being completely unable to provide any help. But Dewang’s father wants to do something in honor of his son’s memory. His first step is to share the remarkable story of a wonderful boy’s life ended much too soon. Beyond that, he plans to help to educate people and those in the medical community about this syndrome that took his son too quickly and suddenly. The world is a poorer place….